Little Tikes is a name that we have learned to trust for quality kids toys and activity centers. The company has been around since 1970 and they manufacture a wide variety of products for young kids. 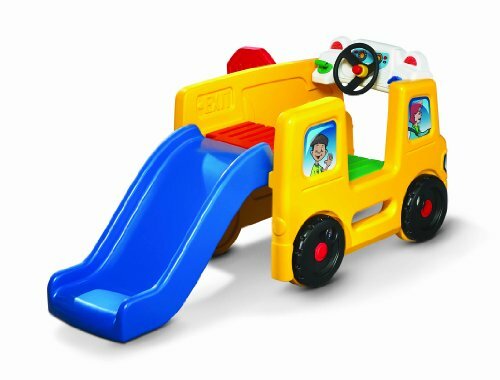 Little Tikes toddler toys come in all shapes and sizes including – Ride on toys, sandboxes, play trucks, popular sports toys, activity gyms, climbers and much more. They feature toys that encourage pre-school development, role play and creative arts. It’s been a while that they’be been at this toy thing and they’re pretty darned good at it. Large plastic sink area that promotes role play and imaginative thinking. Comes with 13 fun and colorful accessories with plenty of storage in it’s base. 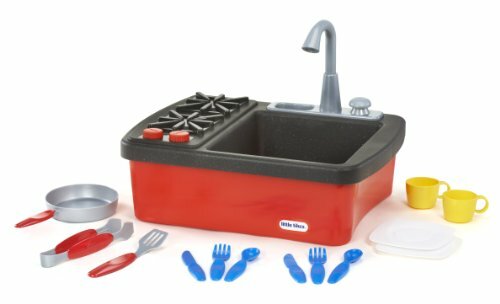 This portable sink toy has a real working faucet and drain. It is fun and easy to clean. Get the kids to clean it. Just tell them it’s part of the game. The gas ‘n go mower is a best seller for a reason. The kids want to do grown up things that they see their parents doing. 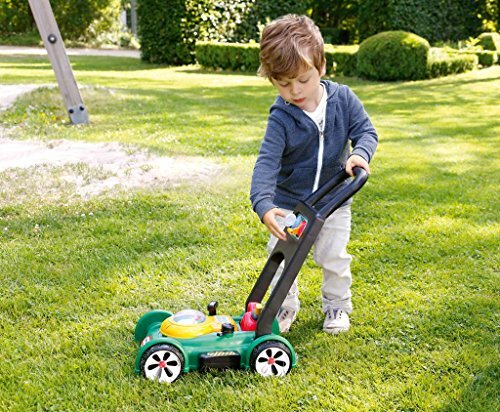 The old toy mower does the trick and comes with a removable gas can and the sounds are mechanical so that no batteries are needed. Pull the chord to hear the engine sounds and when you push it the beads pop. These things are great fun and get the kids moving around outside. This is designed for kids 18 months and older. The Little Tikes 3′ Trampoline is the perfect way for your toddlers to burn energy and get some exercise. It is designed for indoor use only and features a large jumping surface and handle bar for stability. It is a trampoline that is for 1 user at a time and the maximum weight is 55 pounds. Recommended age is for 3 to 6 year old. 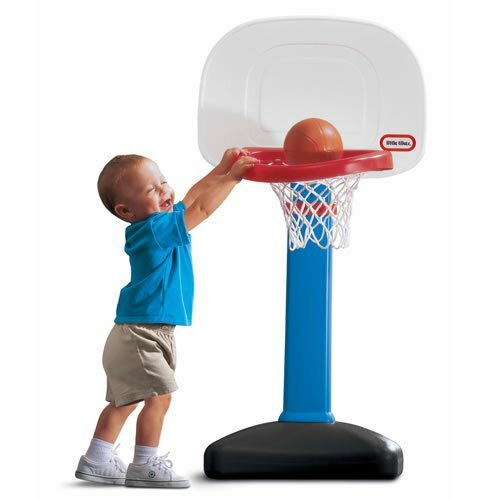 Oversized rim and a junior size basketball makes this a great toy for confidence. Helps to develop social and motor skills along with coordination. It is a best seller and the hoop adjusts to six different heights form 2 to 4 feet. Another great role play toy for toddlers. 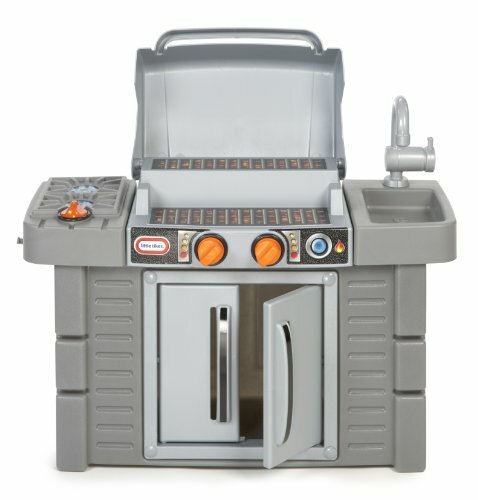 Kids can grill with this set inside and out and everything fits inside the base for easy storage and transport. All the accessories needed for a BBQ including a fake hot dog and a fake burger. Very realistic play set with a starter button and clicking knobs. 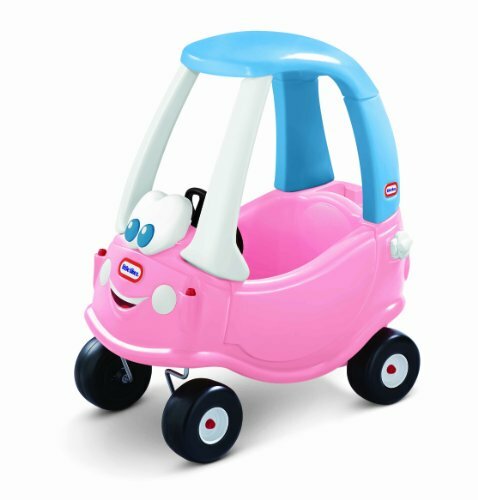 A classic plastic and durable ride from Little Tikes. Includes a high back seat with rear storage for all the supplies needed for a road trip. The drivers door opens and closes and the easy-to-grip steering wheel even has a real working horn. Perfect for indoor and outside play, it’s a great toy to encourage active play and to develop motor skills. There is also a removable floor and handle on the back for a parent-controlled push. Great gift for any toddler between 18 months and 5 years old. 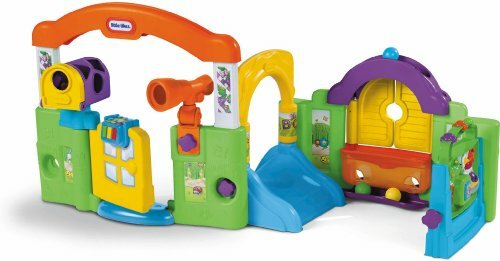 This is a colorful and fun multi-functional play center that helps infants develop fine motor skills as well as creativity and imagination. This is for the little ones between 6 and 36 months with a ton of colorful features. A crawl through archway, a shape sorter mailbox, a working tap-a-tune piano that sits on the swinging door, bead tumbler, movable look through telescope, gears, clicking bugs and so much more. I want one, if only I could fit in it. 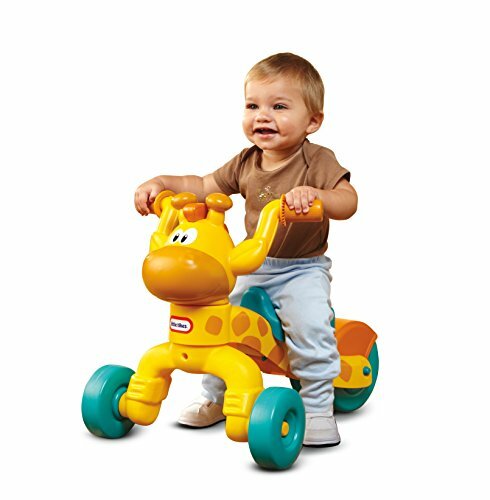 Your toddlers will love to ride on this fun and friendly giraffe scoot toy. It has an adjustable seat and an over-sized back wheel for added stability. Builds balance, coordination and motor skills and can be used both indoors and out. Designed for 1 to 3 year olds with and has a weight limit of 50 pounds. Lots of great comments from purchasers of this ride on toy. The basin can actually hold water and has a drain. It is a table top design and encourages multiple child play. Water the flowers with a working water can. 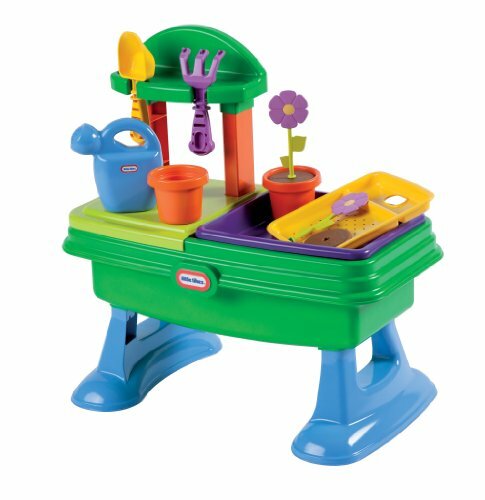 This comes with all the accessories for the toddlers to have many hours of fun in the garden. Combination learning and physical activity toy. The tires spin to display, shapes, letters, colors and numbers. The slide is 18″ high and is gently sloped for a safe landing. Dashboard has a spinning wheel and clickers and buttons for creative role play. The bus activity center is for kids one and a half years to four. Your toddlers can enjoy this toy indoors and out. This is a great first activity set once the kids have mastered mobility and are learning how to use it. 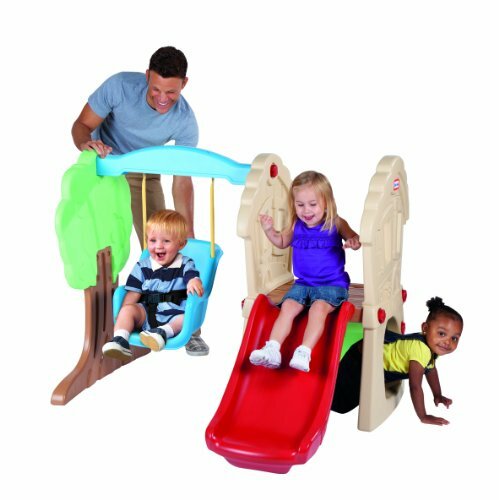 Easy rock wall, a gentle slide and a swing this will keep them going for hours a day. The height is perfect for gaining balance and confidence. The kids can chase each other around and crawl under or over the connector bridge. Lots of exercise and imaginative play can be had with this little climber activity center inside and out.